As previously reported, Google will be launching the Google Home devices in the Indian market. According to a invite we received from Google this morning, it seems the launch will happen on Tuesday, April 10. While the invite doesn't specify exactly what the event will be about, the description states that it's 'something that's bound to keep you talking for a long, long while'. 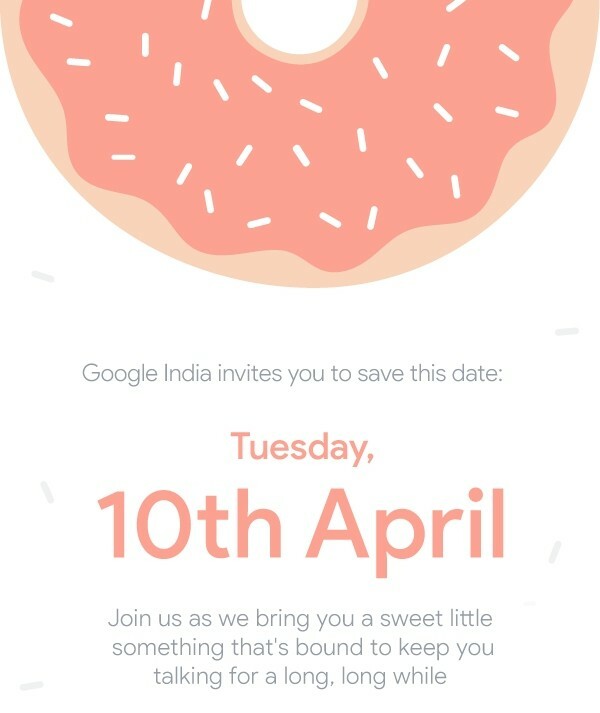 The invite also has a donut theme, which makes me think that Google will only be launching the smaller, donut-sized Google Home Mini in the Indian market. It also makes sense to start with the smaller model first. Smart home assistants aren't a big thing in the Indian market yet, with Amazon Echo series being the only competing products available now. Starting small, not to mention cheap, will be a good way to test the waters and eventually bring in the more expensive models in, like the Google Home Max. According to a new report by ETtech, Google also has plans to launch some other products, including the Pixelbook, home automation devices and even a mid-range smartphone in the Indian market. These products are expected later this year, however, and not be present during the April 10 event.